I subsequently learned about what he was referring, directly from Susanne Somerville, founder and leader of The MediLedger Project, a biopharma-industry working group for the study of blockchain implementation. Below, Somerville fills us in on what that supply-chain professional might have meant, her blockchain project, and what the technology could mean specifically for drug development and manufacturing outsourcing. Starting in 2017, Somerville has brought together companies like Abbvie, Genentech (where she spent part of her career) and Pfizer, to enter into a practical exploration, and actual implementation, of a blockchain network. First off, that broad-based interest is heartening. I for one have been wondering why there hasn’t been more interest, most particularly in the proposition that blockchain technologies could reach well upstream of serialization. 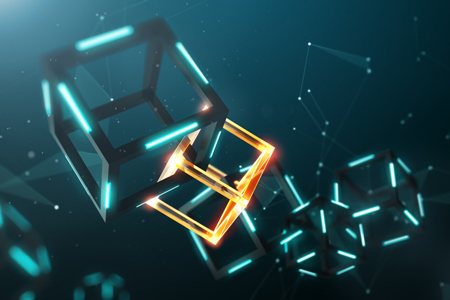 While the U.S. Drug Supply Chain Security Act (DSCSA) has been the catalyst for the study of blockchain in biopharma, the potential is there to impact the entire drug development and manufacturing supply chain, including CDMOs and CMOs. “Yes, one of the interesting use cases that keeps cropping up – obviously a pain point in the industry – is the communication between CMOs and sponsors,” says Somerville. We’ll circle back to this topic of supply-chain standardization in a moment. First lets take a closer look at MediLedger itself. 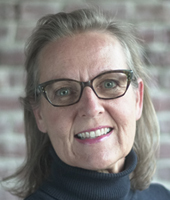 Somerville left Genentech (where she was the sponsor of its serialization program) in 2015, and with business partner Eric Garvin (also previously at Genentech), started consulting in the serialization space. Bolstered by that initial industry interest, Somerville and Garvin sought out a blockchain development partner. They landed on – and subsequently joined – Chronicled, a “smart supply chain solutions” company. The focus is on moving from proof of concept to actual commercial solutions. That takes funding. The MediLedger Project currently depends on Chronicled, venture funding, and participants’ fees to develop those solutions. Eventually, the actual transactions across the blockchain network will become the funding model. Somerville says they are creating an “inclusive solution,” offering industry service providers (e.g., SAP, Tracelink, Systech, VerifyBrand,) what is in effect a licensed-software package providing access to participate. Key is ensuring easy integration from existing solutions; providers should be able to offer biopharma customers the new blockchain connectivity, but also their own propriety services. Chronicle’s interest lies in adding overall oversight to the decentralized and autonomous nature of blockchain. The biggest challenge now? Educating the industry to understand the basics of why this could be of wide consequence. “Our hope is more people feel safe to ask questions, and start to understand how a blockchain network will impact their business. This should come more from a curiosity and innovation perspective, rather than one of fear,” says Somerville. As Somerville mentioned above, the realization that drug development and manufacturing service providers might benefit from “network solutions,” if not a fully developed blockchain, could lead to a more harmonized and advanced set of industrywide working standards. So while Somerville and her biopharma partners first need to get blockchain firmly in place for DSCSA, the establishment of this network will also put in place the groundwork for a variety of offerings and services along the supply chain.